A friend and fellow Skeptophile sent a story to my attention on Facebook that seems fitting for the last Skeptophilia post of 2013. It combines all of the essential elements: a claim that is so ridiculous that it clearly started as a hoax; a bunch of people (including folks in the media) who know so little science that they seem to have taken it seriously; a prediction that will have gullible individuals worldwide making complete fools of themselves next Saturday; and a Facebook back-and-forth that resulted in cheerful contributions from several loyal readers of this blog who were eager to get in on the fun of ripping the whole silly story to shreds. First, 9:47 in which time zone? You can see how that would make a difference. I'm assuming that it's 9:47 Greenwich Mean Time, which would certainly be the most logical interpretation, but it'd have been nice if they'd specified. Second, even if we do assume that it's 9:47 GMT, then only the point on the Earth that is angled away from the Sun, and thus toward Jupiter and Pluto, would experience the effect, given that the Earth is spherical. The other side of the Earth would actually experience the opposite -- an additional pull of gravity (the Earth's plus Jupiter's plus Pluto's), and people in those regions would feel heavier and fall faster. People elsewhere on the Earth would experience this as a sideward pull, and would thus be more likely to trip over curbs and fall down. Third, why would it only last for five minutes? In terms of apparent angular velocity, neither Jupiter nor Pluto is moving that fast. You'd think we'd at least have a few weeks' worth of floating about the place until everything drifts out of alignment. Fourth, we have a problem with magnitudes, here. Jupiter is a big planet, yes, but at closest approach it is still very far away. We had a whole kerfuffle over "planetary alignments" amongst the astrology crowd a couple of years ago, which prompted me to calculate the gravitational pull of Jupiter on the Earth, and I came out with one ten-millionth of a Newton, a force a hundred million times smaller than the force the Earth itself is exerting. So there's no way that the pull of Jupiter will have any significant affect on your hang time, and Pluto would have even less. 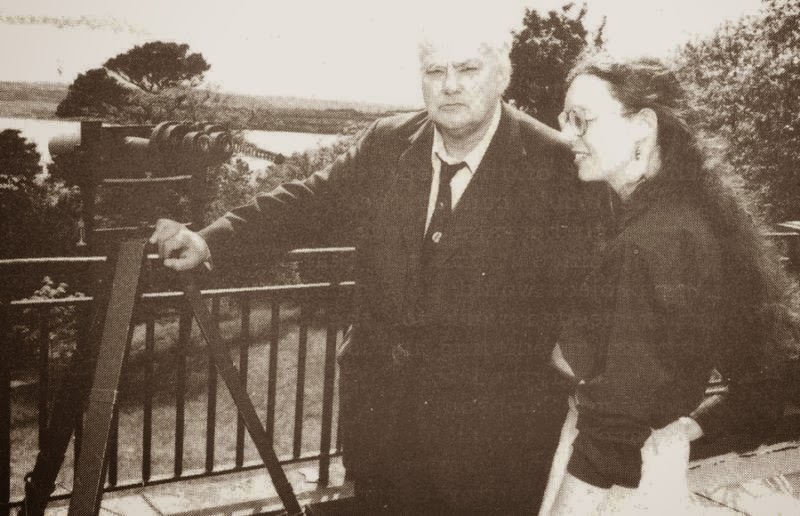 Fifth, "British astronomer Patrick Moore" was indeed an authoritative figure in the world of astronomy, and for many years hosted BBC's popular show The Sky at Night. The problem is, he's been dead for two years, so he's not revealing much of anything at the moment. We are then told to join in on Twitter, using the hashtag #ZeroGDay, which I definitely encourage all of you to do. Okay, so here's the real scoop -- a discovery for which I thank my friend and loyal reader David Craig, who did some stellar research work on this whole ridiculous story. So this story is apparently just the whole thing going around again, because, after all, if a practical joke works once, it can always be reused, right? Evidently Patrick Moore thinks so. He wasn't content with pranking people while he was alive, he's continuing to do it two years after his death. Which he'd probably be pretty pleased about, and, honestly, is what I'll do if I have the opportunity. Of course, I couldn't end this piece without some information on where the relevant planets actually are. If you'll take a look at the Planetary Orbit Map from Lunaf.com, you'll see that the Earth, Jupiter, and Pluto are very far from alignment -- Earth and Jupiter are more-or-less in alignment, but Pluto is clear on the other side of the Sun. So I encourage you to participate on Twitter in #ZeroGDay, but don't bother jumping up and down unless you are doing so for another reason, in which case you should have at it. And this seems like a fitting place to end. I am taking a brief vacation for the remainder of the week, so this will be my last post of 2013. I will be back at it on Monday, January 6, 2014, however, so keep those suggestions and comments coming. I wish you all a lovely New Year's Day, and that 2014 is everything you hope for! It doesn't matter whether the force of gravity on us from those planets is ordinarily miniscule. Don't you understand, Gordon? They are lined up!